To be honest, the best way I have ever eaten lobster is the simple steam or boil. The trick: Do not overcook!! Overcooked lobster is like any other overcooked meat. Tough. Bland. Rubbery. Has that ‘lobster’ taste (fishy). The key is cooking it until it’s barely cooked, and then cooking it no more. 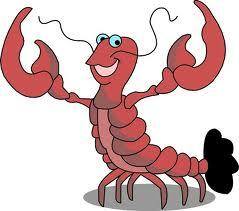 Grilled lobster is always overcooked because it’s cooked twice. Baked lobster, lobster thermidor, stuffed lobster…. the focus is less on the lobster, and more on the filling or cooking technique. Cook a lobster correctly, and anything else becomes a waste of time. 5 minutes in rapidly boiling water. That’s all a small lobster needs. That’s it. No more. 5 minutes. Like most other chefs out there, I ‘shock’ the lobster after cooking, ie submerge it in ice water. So re-heating becomes tricky. The key is gently reheating. I use a butter/water emulsion called a beurre monte, which is basically warmed un-broken butter seasoned with lemon juice and salt. This protects the lobster from any aggressive heat, and keeps it encapsulated in a warm blanket of flavor (hence, butter poached). In a low, slow oven, this is the perfect method for reheating, adding flavor, and turning out the perfect butter poached lobster (the beurre monte is butter, afterall). Serve with sweet summer corn, pancetta, a little spice, a wonderful tender green, and you too will agree, there is no other way to do lobster. It is absolutely delicious. No two ways about it. Fill a large stock pot 3/4 with cold water and add about 1/2 cup salt. Bring to a rolling boil. Have a mixing bowl full of ice water ready. Plunge the lobsters into the boiling water, head first, and boil for 4-5 minutes. Remove with tongs and immediately plunge the lobsters into the ice bath. Let sit until cold. While the lobsters are cooling, render the pancetta in a saute pan, slowly, until crisp. Drain over paper towel. Heat a small sauce pot over high heat. Put 1/2 a cup of water in and reduce until almost dry. Remove from heat and gently whisk in the butter (this is called a beurre monte, and should be thick, like hollandaise). When all the butter is worked in, season liberally with salt, pepper and lemon juice. Reserve and keep warm. Break down the lobsters, cutting the tail in half and keeping the claws whole (youtube for a lesson). Save the bodies for stock, biqsue, lobster butter, etc. Heat an over to 300. In a shallow roasting pan, line the lobster meat into a single layer. Pour the beurre monte over, loosely cover with foil and place in oven. It will take about 3o min to reheat thoroughly. While this is heating (almost done), begin sauting the corn, jalapeno and onion with the pancetta in a little vegetable oil. Season lightly with salt and heavily with pepper. Add half the chives. In a second pan, begin sauting the baby bok choy in a little more vegetable oil. Baby bok choy cooks very quickly; don’t over cook. All you want is a little color and tenderness, not mush. season. Mound the corn/jalapeno/pancetta saute in the middle of a warm plate. Curl the baby bok choy on top. And on top of that, place the lobster- tail first, claws on top, and garnish with remained of chives. I also love this with a full array of wonderfully sautee mushrooms, a summer corn puree, brussels sprouts, white polenta, or sweet potato hash. Have fun with it. It seems a bit much, with the beurre monte and all, but really, it isn’t, and every step is worth it!